This 7 day Classic Savuti Surrounds Safari tour highlights 3 of Botswana's most dramatic wilderness areas, all different in character and landscapes and exhibiting unique wildlife behaviour. This 7 day Savuti Surrounds Safari Package takes you to 3 very different areas of Botswana, each with different wildlife adaptations, which ensures that your Botswana safari provides a unique wilderness holiday experience. The guides are well trained and extremely knowledgeable about their areas of expertise, further enhancing the value of the African safari. The activities are as varied as the areas are different, with game viewing from land and water being the highlights. 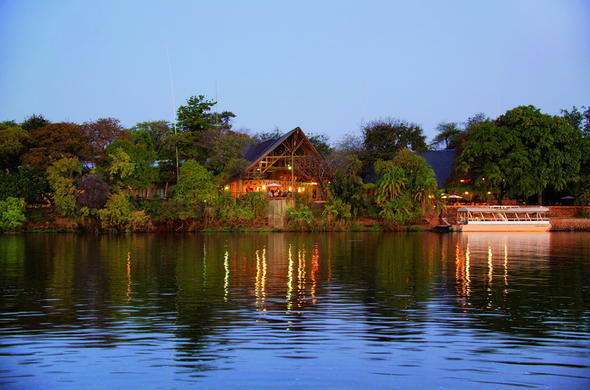 The areas visited include the northern reaches of the Chobe National Park along the river with its huge concentrations of Elephant, and the central region of Savute renowned for its predators, before reaching the wetland wonder that is the Okavango Delta. 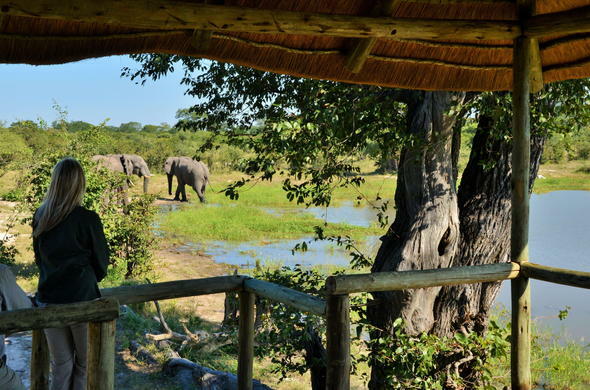 You will arrive in Kasane on a flight from Johannesburg and be transferred to your safari lodge on the banks of the Chobe River in the far northern corner of Botswana, a place where Elephants gather in their tens of thousands. Spending 2 nights here you will have the opportunity to explore the area on game drives and boat cruises,which provide entirely different perspectives of viewing game. An early morning wake-up call will signal a day of many surprises and wonders. Heading out with the new day you will explore the Chobe National Park, one of the iconic parks in Africa and one the last refuges for the great Elephant herds. The Chobe is also a haven for many other animals including a strong predator population. 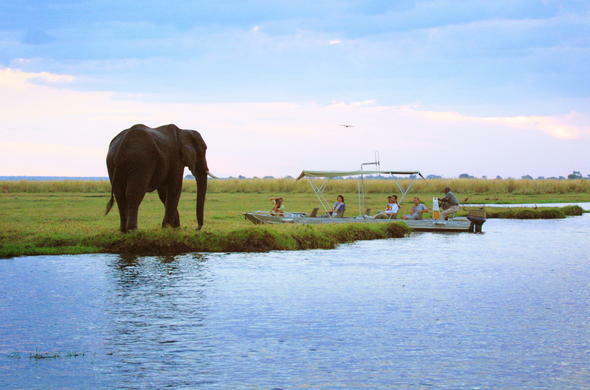 The afternoon activity will take you to the water to view game from a boat, allowing an unprecedented safari experience. There is something unique in drifting up close to animals that are drinking at the water's edge. A sundowner on the Chobe river is an unforgettable moment and later you will fall asleep with the thoughts of ancient Africa in your mind. 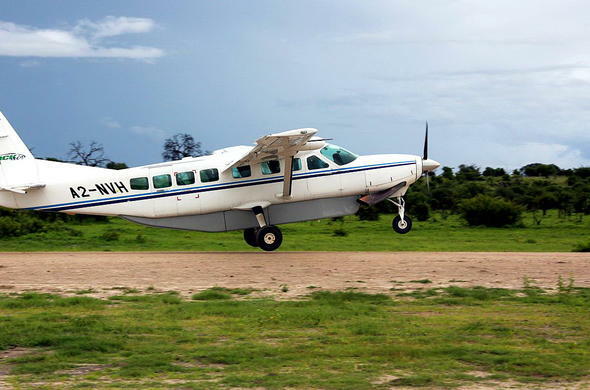 There will be time for an early activity before your transfer to the Kasane airport to catch a flight to Savuti, which is located in the southern part of the Chobe National Park. Once you arrive you can enjoy a light lunch and some time to settle in before heading out on an afternoon drive. You will be able to learn about this fascinating area where the landscape has undergone tremendous change in the past 2 years. The day starts early with a light breakfast before a morning game drive in an area where change is the big attraction. For 30 years the Savuti Channel that flows into the sands of the marsh was dry but recently started flowing again. With this change the wildlife has had to adapt, leading to interesting animal behaviour. The guides know the history of the area intimately and can explain the changes in the wildlife in great detail. The drives are done on private roads in the vicinity of the safari lodge and excursions to the channel and marsh are part of the activities. It is difficult to imagine an area so unstable but the bush guides ensure a unique look into one of Africa's enigmas. There will be time for an early morning drive in the fascinating Savute area before brunch and a short flight to your remote safari camp in the Okavango Delta. You will spend the next 2 nights of your Botswana safari holiday in the Moremi area. You'll arrive in time for an afternoon activity on the intricate waterways of one of Africa's unheralded natural wonders. The day in the Okavango is spent in the channels and floodplains and on the islands of the Okavango, learning about the details of this special wilderness. The guides are passionate about this national treasure and share their knowledge with you, enhancing an already incredible African safari experience. 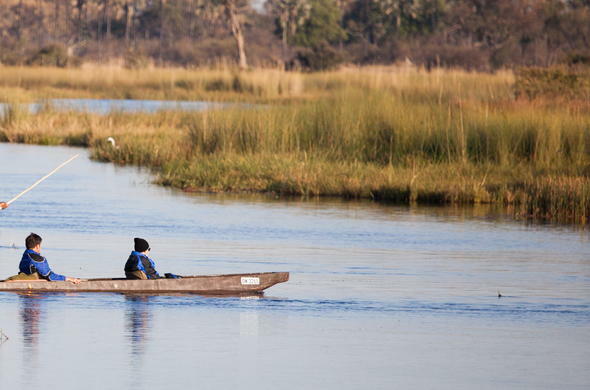 The Okavango is a network of channels and islands and is best explored by boat, mokoro and on foot. There is also an opportunity to sleep out in the wild on one of the many islands, an experience of a lifetime. Listening to the nocturnal sounds of the Delta as you lie in bed is another highlight of an Okavango safari. 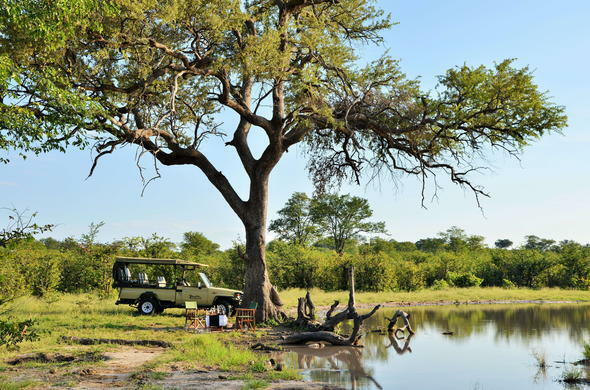 This is the final day of your 7 day Savute Surrounds Safari Package. A last opportunity for an activity presents itself this morning before your return to camp for a delicious brunch. You will be transferred to the airstrip to catch your flight to Maun and the onward connection through to Johannesburg O.R. Tambo International Airport. This 7 day Classic Fly-in Safari Package is calculated for 2 guests sharing en-suite accommodation, all inclusive of meals and activities, with scheduled flights ex/to Johannesburg O.R. Tambo Airport on set departure days - Johannesburg to Kasane on Monday, Wednesday, Friday and Sunday and daily departure Maun to Johannesburg. This Botswana holiday package can be also combined with a package at Victoria Falls - Zimbabwean side and Livingstone - Zambian side.